The festive season is around and it's the best time for companies to establish their brand values, take a new start and of course enhance their sales in the market. Infact, many of the companies come up with offers like 'bumper offers' or 'Diwali Bonanza' during this season. So, Mahindra has also come up with the annoucement regarding the launch of its Gusto 110 exclusively for festive season here. The special editions would be launched in ‘Pacific Matt Blue’ & ‘Crimson Matt Red’ for which the pre-booked have started at a token amount of INR 5,000. Since the offer is exclusive so is the booking and the pre-booking is exclusively available at Paytm only. The limited editions will feature beige color panels on the interior and the new colour schemes will be a part of VX variant only. The special edition has been priced at INR 52,010 (Ex-showroom Delhi). The Mahindra Gusto is powered by a 109.6cc, all aluminium M-TEC motor which can produce 8 HP of power and about 9 Nm of torque. 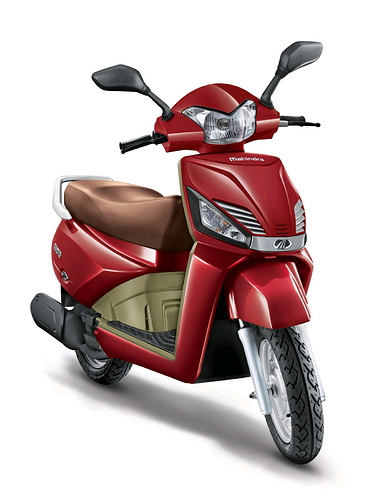 Mahindra Gusto 110 features height adjustable eat, find-me lamps, easy front kick, remote flip key and bright halogen head lamp.